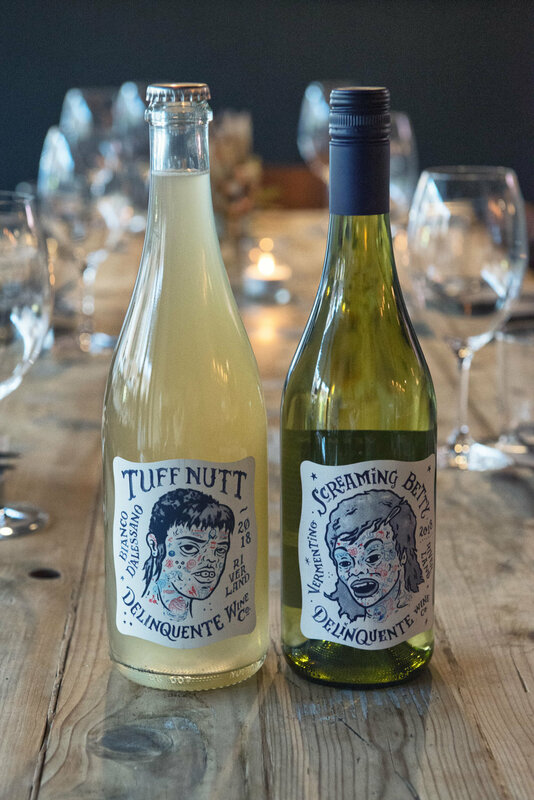 Delinquente's Screaming Betty Vermentino and Tuff Nutt Pet Nat are back with a new vintage and ready to be matched to your favourite cheese board. A triumphant return to our little Newtown haunt, we’re excited to show off the 2017 Delinquente Wine Co “Tuff Nutt” Bianco D’Alessano pet nat (say that five times fast) from South Australia’s Riverland region. Pet Nat, or Petillant Naturel, is the rough and ready older sister of more refined sparkling wines such as Champagne, and is emerging as a major player in the Australian natural wine scene. This small batch, cloudy, tropical fruit fuelled drop is complex while still being completely gulp-worthy and is the perfect conversation starter for your next date night. She’s baaaaack. The new incarnation of Delinquente Wine Co.’s “Screaming Betty” Vermentino is as polished as it is delicious. Minimal intervention wine making made totally approachable, the 2017 Betty is clean on the finish with an addictive minerality and we’re thrilled to have her on the pour again this season. Think of the Betty as your blonde phase, great for the weekend out in the Inner West and you really did have more fun.